If you are a Florida resident, you have access to many treatment options if you struggle with alcohol or drug abuse. The Florida Department of Children and Families (DCF) maintains a list of treatment providers across the state, which can be found on their website and is searchable by city. DCF also has more substance abuse help information on their website. The state health department provides treatment and referral services, which can also be narrowed down through the Substance Abuse and Mental Health Services Administration’s (SAMHSA) online treatment finder. The National Institute on Drug Abuse (NIDA) is clear that addiction can be treated successfully; however, it is equally important to know what treatment is and what a successful trajectory looks like. Addiction is a chronic illness, meaning that it is with you for the rest of your life. This diagnosis may sound frightening, but other chronic illnesses that receive successful lifelong treatment include diabetes, hypertension (high blood pressure), and asthma. It is also important to know that relapse occurs with all chronic illnesses. Relapse simply means that symptoms return or change, and require a new approach to treatment. For people struggling with addiction, between 40 and 60 percent will suffer a relapse. This rate of relapse is similar to hypertension and asthma, which both have symptom relapse rates of between 50 and 70 percent. None of these conditions can be cured, but all of them can be managed successfully, so you can live a healthy, productive life. Getting evidence-based treatment that uses scientific research and medical supervision is the best approach to treating substance use disorders. Evidence-based treatment is growing in popularity and accessibility across the United States, including in Florida, where more people are able to access help to overcome alcohol or drug abuse. The Substance Abuse and Mental Health Service Administration (SAMHSA) provides Behavioral Health Barometers (BHBs) for various states. Florida’s most recent BHB covers survey years 2011 through 2015, and it indicates how rates of drug abuse are changing in the state among both adolescents and adults. This can help highlight when treatment works as well as where more treatment options are needed. Both in Florida and around the nation, adolescents between the ages of 12 and 17 report abusing drugs differently than adults. 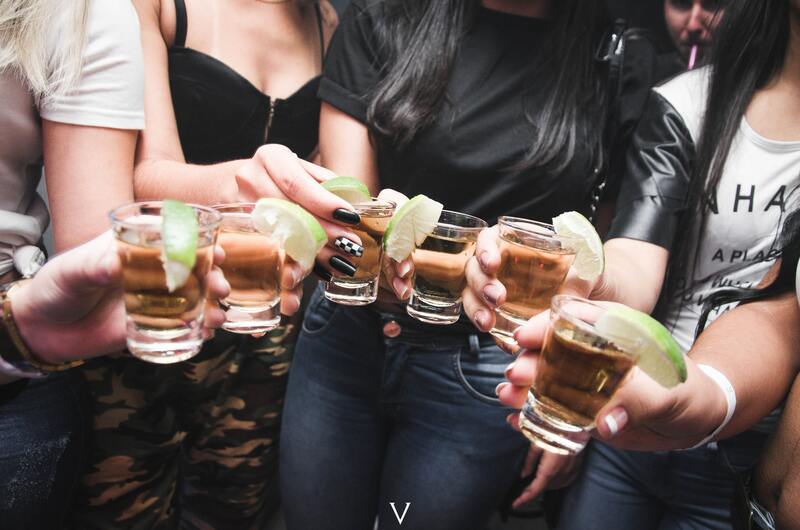 Alcohol: Rates of alcohol abuse among adolescents are dropping quickly across the United States, although Florida still reports slightly higher rates compared to the national average. In 2013–2014, 12.3 percent of Florida’s youth reported drinking alcohol in the past month compared to 11.6 percent in the U.S. By 2014–2015, 10.7 percent in Florida and 10.6 percent nationally reported drinking. The declines indicate that prevention and education programs for young people work well, along with greater access to detox and rehabilitation for adults who impact those children’s lives. 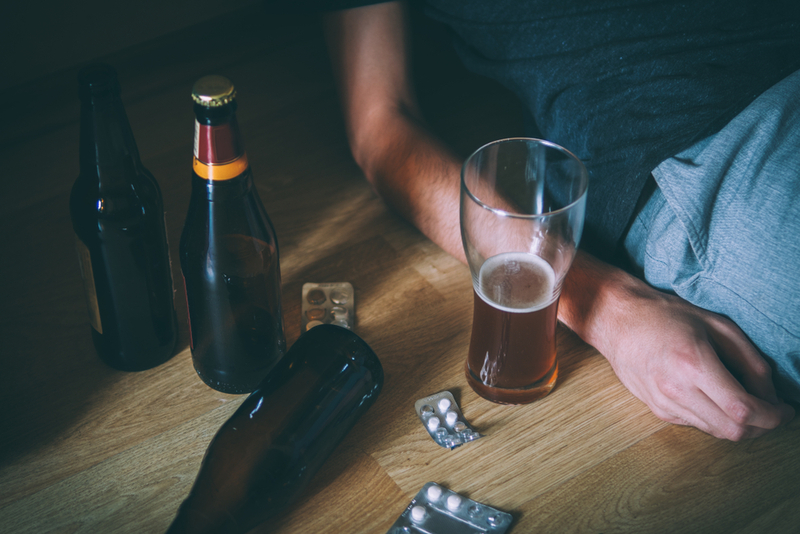 In 2016, according to the Florida Alcohol & Drug Abuse Association (FADAA), 494 adolescents reported that alcohol was their primary substance of abuse when they entered a treatment program in Florida, representing about 5 percent of that age group. Marijuana: In 2012–2013 and 2013–2014, Florida reported higher rates of marijuana abuse among adolescents compared to the national average, but in 2014-–2015, the percentage went down, so 6.8 percent of Florida’s youth compared to 7.2 percent of adolescents nationally abused marijuana. According to FADAA’s 2016 report, of the 17,240 people entering treatment in the Sunshine State who reported that marijuana was their primary drug of abuse, 44 percent were younger than 18 years old. Nationally, marijuana is one of the most abused drugs among middle and high schoolers, and this remains true in Florida as well. Fortunately, it appears that many of these adolescents are also seeking addiction treatment to overcome this problem, so they can become healthy adults. Cigarettes: One indicator of future drug abuse is smoking at an early age, but since 2011, fewer adolescents in Florida smoke cigarettes compared to the national average. For 2014–2015, 3.6 percent of adolescents in Florida smoked cigarettes compared to 4.5 percent around the country. This suggests that anti-smoking education, prevention programs, and intervention and treatment options work well in Florida. Mental health: Substance abuse and mental illness are closely tied together, especially when one of these issues begins in adolescence. It is important to get appropriate mental and behavioral health treatment as soon as possible to prevent co-occurring disorders. Unfortunately, reports of mental health struggles are on the rise, both in Florida and across the U.S. In 2013–2014, 10.5 percent of Florida’s adolescents and 11 percent of U.S. adolescents reported at least one major depressive episode (MDE) in the past year. By 2014–2015, 11.9 percent, both in Florida and the U.S. overall, reported at least one MDE. SAMHSA’s BHB for Florida reported that 34.2 percent of adolescents in the state sought treatment for their MDEs between 2011 and 2015, and 65.8 percent did not receive help. While tens of thousands more adolescents in the state need to get help, about 47,000 did get the help they needed. This reduces the risk of ongoing mental health problems among adult residents in Florida, and it reduces the likelihood that this group will self-medicate with drugs or alcohol in the future. Among the adolescents who got help in Florida, 84 percent reported functioning better in their daily lives compared to 71.6 percent nationally. Alcohol: Fewer adults in Florida report alcohol use disorder (AUD), or alcoholism, compared to the national average. In 2014–2015, 5.9 percent in the state reported past-year AUD compared to 6.1 percent nationally. Rates of alcohol abuse in Florida also appear to be declining as rates across the nation decline. FADAA reports that young adults in Florida are at the greatest risk of alcohol abuse, which is true nationally. In 2016, there were 2,199 young adults in Florida, between the ages of 18 and 25, who entered addiction treatment reporting that alcohol was their primary drug of abuse. This represented 8 percent of all alcohol treatment admissions and 16 percent of treatment admissions for that age demographic. Illicit drugs: Some rates of drug abuse are going up among adults in Florida while other rates appear to be declining. For example, heroin abuse declined a little between 2013 and 2014, and it declined again between 2014 and 2015. For the first survey year, 0.31 percent of Floridians, compared to 0.3 percent nationally, reported abusing heroin, but by the second survey year, 0.22 percent of Floridians abused that dangerous opioid drug compared to 0.33 percent nationally. This suggests that some heroin-related treatment programs have helped to reduce rates across Florida, which is an important indicator as the opioid addiction and overdose epidemic ravages the rest of the U.S. In 2015, heroin was reported as the primary drug of abuse for 12,397 Floridians entering treatment. Opioids other than heroin were reported in 15,592 Florida treatment admissions in 2016, per FADAA. This represented 18 percent of all drug addiction treatment admissions, most of whom were adults. Adolescents accounted for less than 1 percent of these treatment admissions while people 18 to 25 years old were 16 percent; those 26 to 24 years old were 50 percent; and 24 percent were people ages 35 and older. Although Florida has allowed some access to medical marijuana, recreational marijuana is illegal and reported as an illicit substance. In 2016, FADAA reported 17,240 people entering treatment for marijuana abuse, which was about 19 percent of all addiction treatment admissions. Of those, 25 percent were 18 to 25 years old, 18 percent were 26 to 34 years old, and 12 percent were 25 or older. Cocaine abuse in Florida remains low, with 6,640 people in the state reporting it as their primary drug of abuse in 2016 when they entered treatment. Unfortunately, reports of methamphetamine abuse have been going up, both nationally and in Florida specifically. In the Sunshine State, there was a 312 percent increase in meth-involved deaths between 2011 and 2016. There were 3,902 admissions to addiction treatment reporting that meth was their primary substance of abuse. There were also 339 primary treatment admissions involving amphetamine in Florida in 2016. Mental health: Adults in Florida report better mental health compared to the rest of the U.S., and they have since 2011. In the 2011–2012 survey year, for example, 3.6 percent of adults in Florida reported serious thoughts of suicide while 3.8 percent nationally reported similar struggles. By 2014–2015, 3.6 percent of Florida’s adults reported suicidal ideation compared to 4 percent across the U.S. This percentage represents about 563,000 adults, ages 18 and older, every year in Florida. Similarly, serious mental illness (SMI) rates among Florida’s adults over the age of 18 are lower than the national average. In 2014–2015, 3.6 percent of the state’s adults reported SMI in the past year compared to 4.1 percent across the U.S. Compared to adolescents, similar rates of adults in Florida seek treatment for their mental health. About 36.1 percent of adults got help between 2011 and 2015 for any mental health struggle, which represented about 906,000 adults per year; however, 63.9 percent of Florida’s adult residents did not get the help they needed for their mental health. Many of the adults who seek treatment in Florida also struggle with employment. According to SAMHSA’s BHB, only 18.2 percent of adults who sought help in Florida’s public mental health system were employed; 47.8 percent were unemployed; and 34 percent were not in the workforce at all. Fortunately, seeking treatment in the state’s mental healthcare system appears to work for most consumers; 86 percent of adults in the state, compared to 71.8 percent nationally, got help and reported that their functioning was improved after treatment. There are more people in Florida seeking treatment for addiction than ever before. About 45 percent of people enrolled in treatment in Florida reported a problem with drug abuse, including prescription and illicit substances; 14.5 percent reported a problem with alcohol; and 40.6 percent reported a problem with both alcohol and drugs. Single-day counts of people entering a substance abuse treatment program from 2011, 2012, 2013, and 2015 found that significantly more people were seeking help in 2015 than previous survey years. With 10,000 more people in Florida seeking help, this suggests that a combination of greater availability through the Affordable Care Act (ACA) — which expanded several Medicaid programs in 2014 and required insurance companies to cover some form of addiction treatment ¬— and better prevention, education, and access to treatment promoted by the state of Florida has helped to improve more Floridians’ lives than ever before. Importantly, evidence-based treatment, including medication-assisted treatment (MAT), appears to have become more popular in the years between 2011 and 2015. More people in Florida received treatment with methadone and buprenorphine than ever before, which may be part of why Florida’s reports of heroin abuse declined compared to the national average. Similarly, for buprenorphine, a single-day count in 2011 found that there were 1,248 people using this medication to safely detox from opioid abuse. By 2015, that number rose to 2,922. 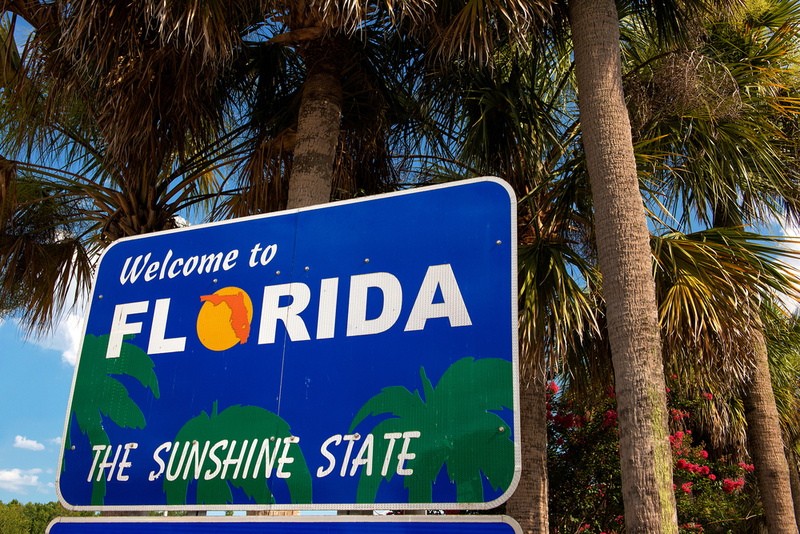 Florida Preventive Health & Health Services Block Grant Advisory Committee (PHHSBG), which oversees the creation, implementation, and expansion of treatment programs in the state using federal funds. Since its founding in 2015, the committee has helped to expand treatment in the state, although expansion of Medicaid through the ACA may also contribute to improved rates of addiction treatment admissions as seen in the data above. There is a prescription drug database to help doctors monitor how many prescriptions a patient has and how often these are refilled, which has been especially important in reducing the number of opioid addiction cases and related deaths across the state. There is also an Office of Medical Marijuana Use, which monitors the production and distribution of this substance, the amount of tetrahydrocannabinol (THC) in the plants, and who receives these products, which may reduce the risk of underage people acquiring marijuana. It may also reduce rates of marijuana abuse by lowering THC amounts in medicinal plants. Since Florida has become notorious as one of the major areas in the country where people abuse prescription and illicit substances at high rates, the state has done a lot to expand drug programs, from prevention education to access to long-term treatment. This has helped many people in the state find the treatment they need, as evidenced above, and it will help to reduce rates of abuse and addiction in the future. Licensed Substance Abuse Provider Components. (October 24, 2018). Florida Department of Children and Families (DCF). Substance Abuse. (2014). Florida Department of Children and Families (DCF). Substance Abuse. (September 26, 2013). Florida Health. Behavioral Health Services Locator. Substance Abuse and Mental Health Services Administration (SAMHSA). Florida. (December 6, 2009). History Channel.com, A&E Television Networks. Drugs, Brains, and Behavior: The Science of Addiction: Treatment and Recovery. (July 2018). National Institute on Drug Abuse (NIDA). Behavioral Health Barometer, Florida Volume 4. (2016). Substance Abuse and Mental Health Services Administration (SAMHSA). Community Health and Wellness: #2 Substance Use Trends Data Report Update. (June 30, 2017). Florida Alcohol & Drug Abuse Association (FADAA). Mental Health & Substance Abuse Coverage. Healthcare.gov. Medication-Assisted Treatment (MAT). Substance Abuse and Mental Health Treatment Services Administration (SAMHSA). Florida Preventive Health & Health Services Block Grant Advisory Committee. (June 25, 2015). Florida Health. Office of Medical Marijuana Use. (February 26, 2018). Florida Health.